Complete your fashionable look with a Criss Cross Bracelet set on a single row of prong-set diamonds. It features an open cuff for a comfortable fit. 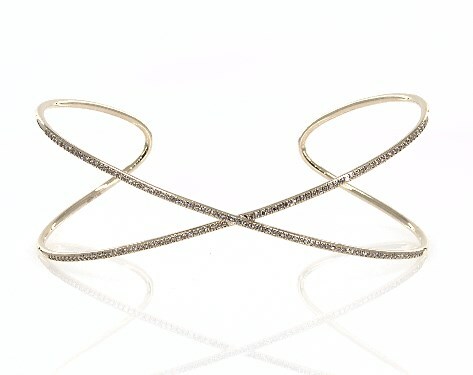 This bracelet would make anyone feel glamorous and luxurious.